New York Times bestselling author and artist James Dean brings readers along for a hilarious ride in Pete the Cat and the Bad Banana. 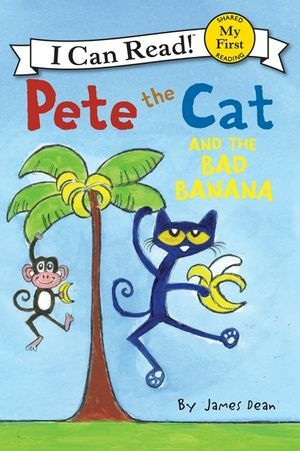 Pete the Cat bites into a bad banana and decides that he never, ever wants to eat another banana again. But Pete really likes bananas! Will a rotten bite ruin Pete's love for this tasty fruit? Pete the Cat and the Bad Banana is a My First I Can Read book, which means it's perfect for shared reading with a child.